Do you need a NAATI certified birth certificate translation in Brisbane? Brisbane Translation provides an expert-quality, NAATI certified birth certificate translation service for customers in Brisbane and all areas of Queensland. We have a large panel of NAATI accredited translators in Brisbane and throughout the country who provide 100% NAATI certified translations of birth certificate’s from any country (and from any language into English) at great prices that can’t be beaten. 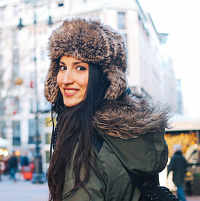 Whether your birth certificate is from China, Spain, Germany, France or any other country in the world, our team of NAATI accredited translators are able to translate your birth certificate into English. The NAATI certified English translation of your birth certificate that we provide to you can be used for all official purposes in Australia including for Visa applications, Passport applications, Skills assessments and University application. You can submit our birth certificate translations to to the Department of Immigration and Border Protection (DIBP), to Australian Universities and to the Australian Passport Office. How much does a birth certificate translation cost? Our Birth certificate translation service starts from just AUD $69 per birth certificate. We have a variety of different languages, speeds and delivery options available. So to get a firm, quote, please complete the Free Quote form on our website for an individual quote for your birth certificate translation. How quickly can you complete my birth certificate translation? Most of our birth certificate translations are completed in 2-3 business days and sent to you by email. We then post a hard copy in the mail by either Regular or Express post (your choice). We can also complete Urgent birth certificate translations in under 24 hours if necessary. What is a NAATI accredited birth certificate translation? NAATI stands for the National Accreditation Authority for Translators and Interpreters. NAATI accredits translators and interpreters in Australia. You should have your birth certificate translated into English from a foreign language or from English into a foreign language by a NAATI accredited translator in Brisbane because most Australian government departments and other authorities in Australia need translations to be NAATI certified. Our NAATI accredited translators in Brisbane are experts in providing NAATI certified birth certificate translations. How do I order an English translation of my birth certificate from Brisbane Translation? Brisbane Translation is an online translation service. To order your birth certificate translation from Brisbane translation, simply complete the Free Quote form on our website. You will be able to upload a scan or photo of the birth certificate that you would like translated so that we can provide you with an accurate quote. We will provide you with a quote via email within 15 minutes. When Will You Need A Birth Certificate? You never know when you will need your certificate. It’s just there in your old shoebox for years until one time; you suddenly need it for a lot of things! Here are some of the instances where a stack of certified birth certificate copies will come in handy. To obtain or renew a driver’s licence, a lot of places require birth certificates as a proof of your identity. 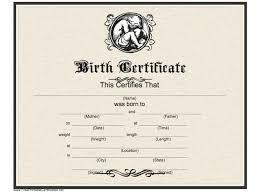 A lot of schools ask for a copy of birth certificates as a proof of your identity and age. This ensures that the student will be placed in the right class based on his or his age. In some cases, a proof of identity is required for a marriage license. Couples are asked to provide a birth certificate. Of course, to obtain a passport, you’ll need a birth certificate. Several cruise lines will ask their passengers upon boarding to provide birth certificates as a proof of identity. As a birth certificate is mostly used to prove your identity, you’ll never know when you will be asked for it whether it is a job, a mortgage or a bank account issue. It is best to be prepared. Do some research, get your birth certificate translated or have multiple copies of it. I am very happy with the Greek to English birth certificate translation provided by Brisbane Translation. the service and price was great!